The Bengal Tiger - Panthera tigris tigris - is a tiger subspecies native to the Indian subcontinent. You will find them in India, Sumatra, Thailand, Bangladesh and Indonesia. The Bengal Tiger is the national Animal of India. The Bengal Tiger is somewhat smaller than the Siberian tiger, but share many similarities and some people, find it difficult to tell them apart. Bengal Tigers have darker Orange fur than Siberian Tigers. In 2010 they were classified as endangered by IUCN. It was then estimated that only around 2500 Bengal Tigers remain in the wild. Latest figures show an estimated increase in their population to around 3600. One of the main causes of Bengal Tigers’ dwindling numbers is human animal conflict. 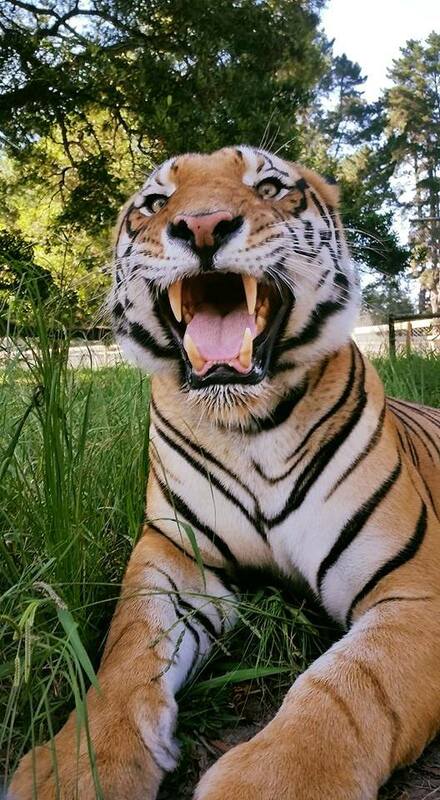 Bengal tigers are known to be more aggressive than Siberian (Amur) Tigers. Known to be man-killers these cats are often persecuted when human settlements start encroaching on their territory. Linear infrastructure is the creation of roads, pipelines, powerlines, railways etc. This Linear infrastructure is the biggest threat facing Bengal Tigers’ today. With the expansion of this infrastructure, Bengal Tigers are becoming isolated and cut off from areas where they could find prey, mate.